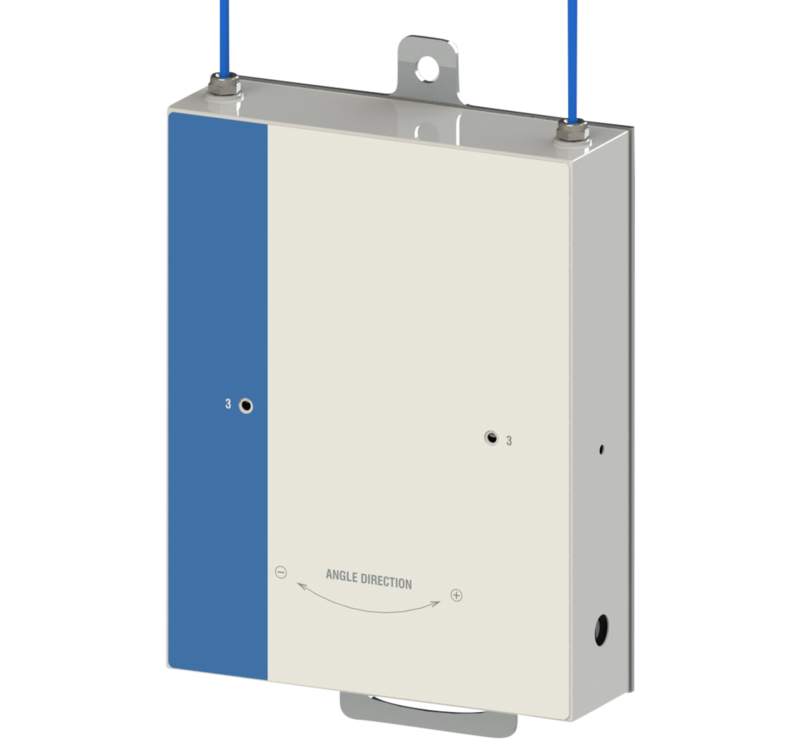 The inclinometer is an inclination sensor based on fibre Bragg gratings (FBGs). It is designed to measure small variations of angle towards the vertical without the need for temperature compensation by using two FBGs in an innovative push-pull configuration. The sensor total fibre optic design ensures intrinsic immunity to electric sparks and EMI/RFI. The sensing principle is based on two FBG’s that are actuated in a push-pull configuration by a pendulum mass, so that for a given tilt one sensor experiences an increasing strain while the other experiences a decreasing strain. The sensor is designed in such way that temperature changes are common to both gratings, so the compensation of this effect is straightforward. The sensor response shows good linearity, with no hysteresis and temperature effect is effectively compensated, even for large measurement times and temperature fluctuations. Max. 6 inclinometers on same chain.